Seven recent UMBC graduates will travel around the globe to teach and conduct research as Fulbright fellows for the 2017 – 18 academic year, setting a new record for the university. The UMBC fellowships range from teaching English in Colombia to using animation to recreate Viking Age artifacts in Norway. All will provide the graduates opportunities for transformative cultural exchanges. More than 11,000 applicants across the United States apply to the program, sponsored by the U.S. Department of State, each year. The Fulbright U.S. Student Program recommends recipients based on academic or professional achievement and demonstrated leadership potential. “A record number of UMBC students have been given a life-changing year of research or teaching as part of the Fulbright U.S. Student Program this year,” says Brian Souders, interim director of International Education Services and UMBC’s Fulbright Program advisor. The students “started their journey to the award a year ago, attending information meetings and Fulbright Boot Camps,” he explains. They also worked closely with Souders and faculty advisors to hone their research proposals and participated in on-campus interviews as part of the application process. 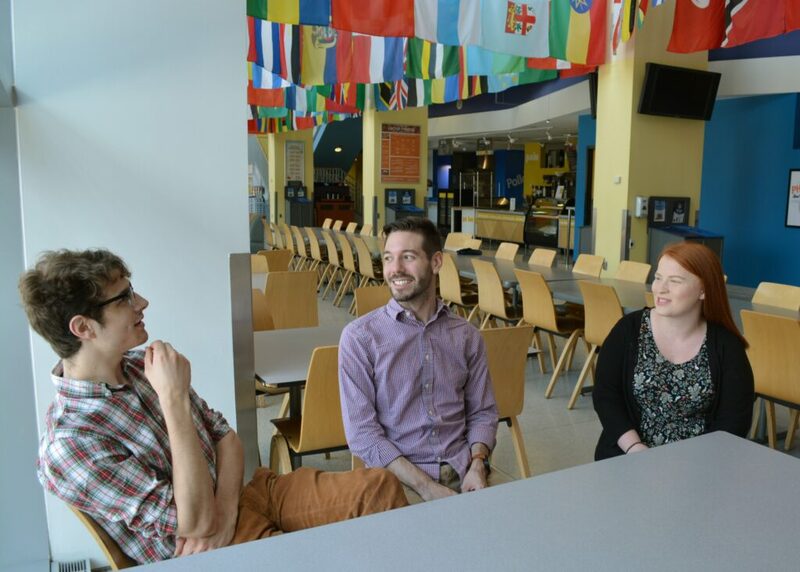 Fulbright recipients Michael Wolfe, William Klotz, and Kirsten Clark chat in the UMBC Commons. Photo by Sarah Hansen ’15 for UMBC. Klotz thanks his UMBC mentors for pushing him to pursue this opportunity, saying they “are the ones who helped me get to where I am today.” Klotz is also featured in among UMBC’s exceptional graduates in the Class of 2017. Fulbright recipient William Klotz. Photo by Marlayna Demond ’11 for UMBC. Jacqueline Wojcik ’17, visual arts, will combine her interests in digital animation and history in a unique research project in Oslo, Norway, creating 3D digital models of Viking Age ship burials. “This project aims to connect people with history through technology, and will explore the intersection of games, learning, and archaeological visualization,” Wojcik shares. 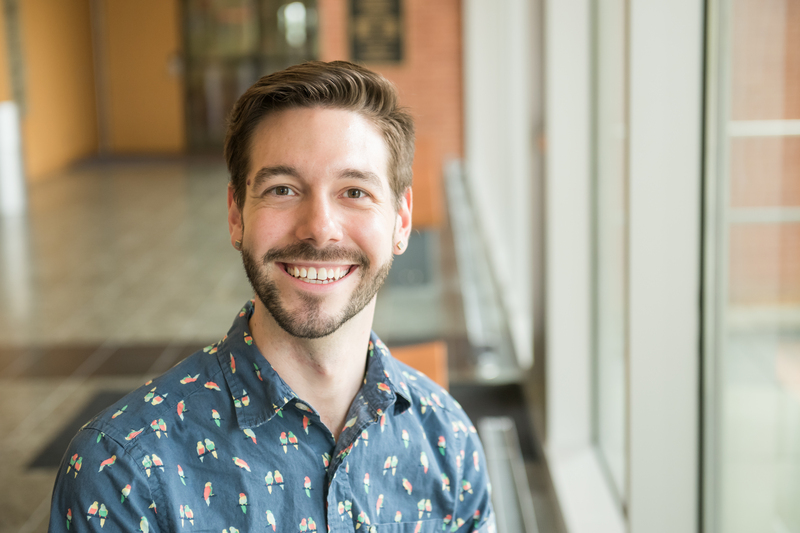 “UMBC fostered an interdisciplinary approach to learning, allowing me to develop the skill set to combine my love of animation, history, and programming,” says Wojcik, who was also highlighted in UMBC’s Class of 2017 feature. She anticipates her Fulbright experience will nurture these passions and support her future goal of developing a game exploring gender roles in Viking society. Jacob Hippert ’17, cultural anthropology, will teach English in Malaysia, and Brian Shouse ’17, political science, will teach English in Bulgaria for their Fulbright fellowships. Kritika Chugh ’17, biological sciences, was selected for a fellowship in the Czech Republic, but was unable to accept the invitation. Justine Lottermoser ’17, biochemistry; Laura Riddering, Ph.D. candidate in geography and environmental systems; and Christina Smith ’15, global studies, were selected as alternates for the program. Banner image: Jacqueline Wojcik ’17; photo by Marlayna Demond ’11 for UMBC.